Consumers are quickly adopting mobile technology and using smartphone apps. Worldwide, over 2 trillion texts are sent daily, and consumers prefer text to voice at a rate of 3 to 1. Remain in full communication with parents and students. Provide timely information and notices that allow all parties to remain fully informed. 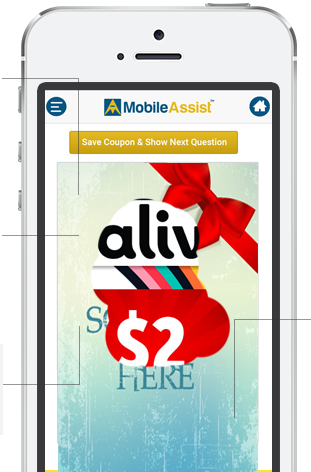 MobileAssist™ provides for a better experience. Empower your fans with MobileAssist™ for your stadium or venue. Our integrated communication platform provides for a better experience, and allows you to better promote your brand. Empower your guest with MobileAssist™ for your hotel or resort. Our integrated communication platform provides for a better experience, and allows you to better promote your brand. Play the game, win exclusive coupons and enter to win the Grand Prize. Each question enters you into the grand prize drawing, each correct answer earns you a coupon. Scratch off the wrapper layer to see what you have won, save the coupon to My Coupons. Each play costs $0.50 +VAT, purchase additional Credits using your debit or credit card, or TopUp at one of nine Omni locations.